This entry was posted in Hiking the Alps Hiking Trails and tagged hiking cortina hiking italy hiking the alps mountaineering alps on February 14, 2019 by Laura P.
For our second hike in the Dolomites in northern Italy we made our way up and around the Croda Negra (“the black spire”) mountain from the Falzarego pass, which was also the starting point for our hike to the Laguzoi summit the day before. While the Laguzoi trail takes you northeast of the Falzarego pass, the Croda Negra is small compact mountain located southeast of the pass. The two trails are, however, completely different in terms of surroundings as the meandering Croda Negra trail will take you over exposed areas as well as through small green valleys, abundant with vegetation, occasionally interrupted by big pieces of rock, while the Laguzoi trail unfolds along a more barren gravel-cliff mountainside. 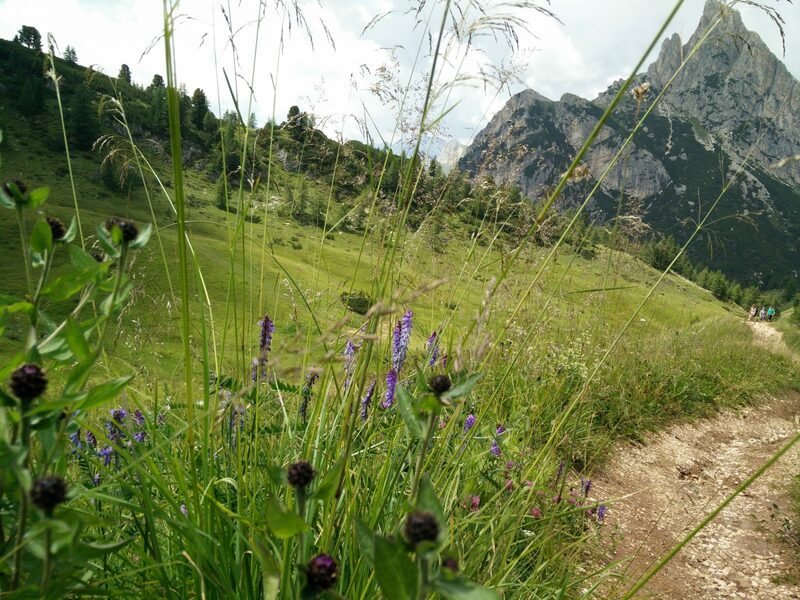 The Croda Negra trail also takes you past the small mountain lake Lago di Limides which is a popular place to rest for hikers on the go. 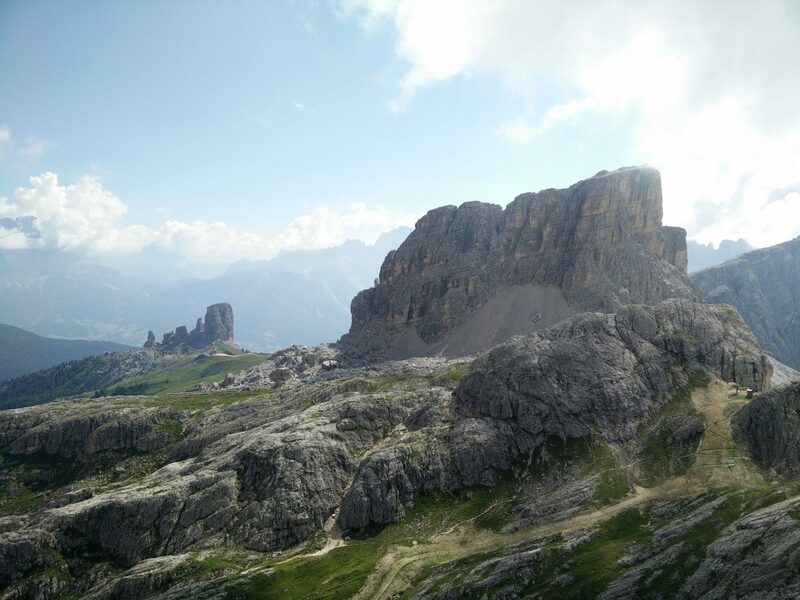 Both trails, however, offer great views on the beautiful landscape of the Dolomites. 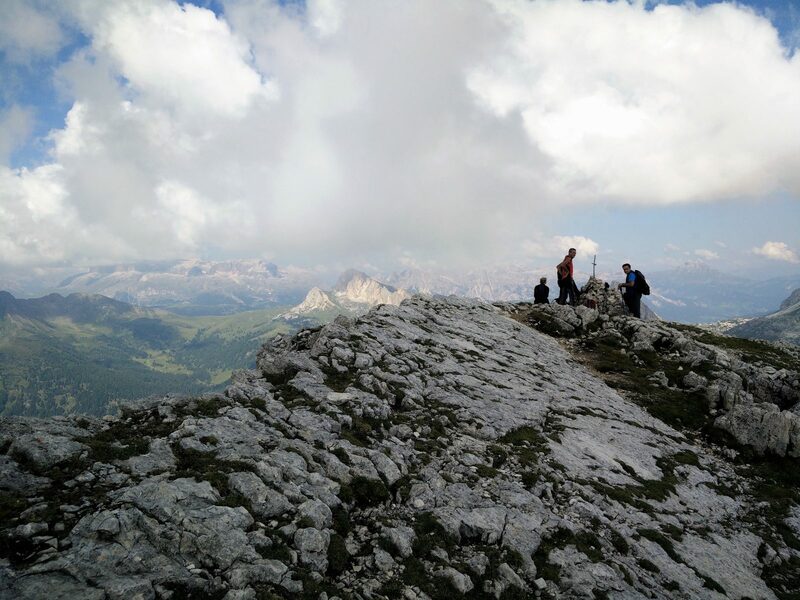 Like the Laguzoi trail, this trail starts at the Falzarego pass which is located 19 kilometers from the town of Cortina d’Ampezzo. We parked our car for free on the big parking lot at the lower cable car station (coordinates 46.519934, 12.008356), which is where the above attached GPS track starts. There are, however, also other parking places next to the road close by where you can leave your car free of charge. 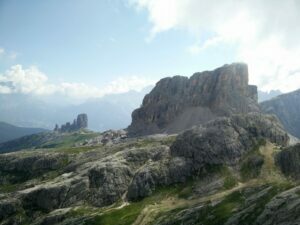 If you are approaching the Dolomites from the west (e.g. western Italy, western Austria etc.) you should drive along the Italian A22 highway (Verona-Trento-Bolzano) until you reach the Bressanone – Val Pusteria exit. Take this exit and proceed on road SS49 towards Brunico. 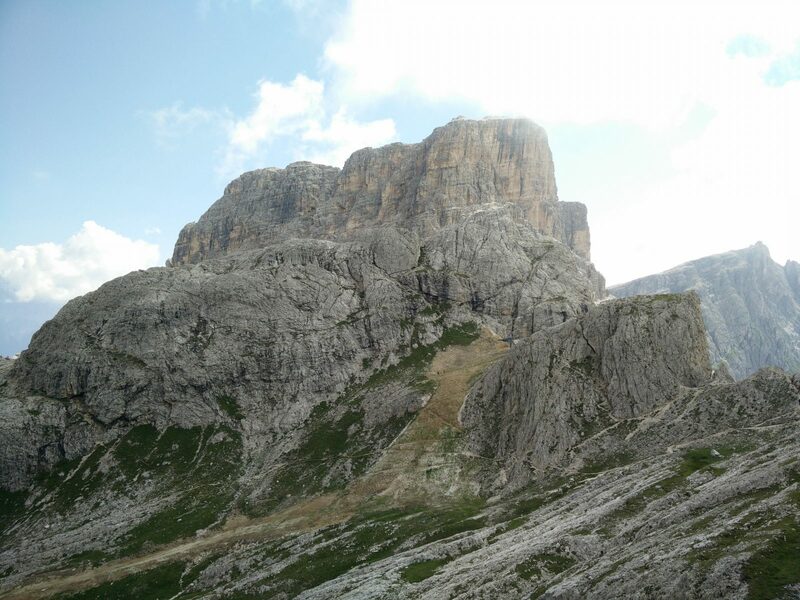 In the town of San Lorenzo di Sebato turn right towards Badia and you will go through the towns of Montana, Longega and La Villa Stern to the Falzarego pass. Park your car on the parking lot at the cable car station. If you are arriving from the east (e.g. Slovenia, eastern Italy etc.) 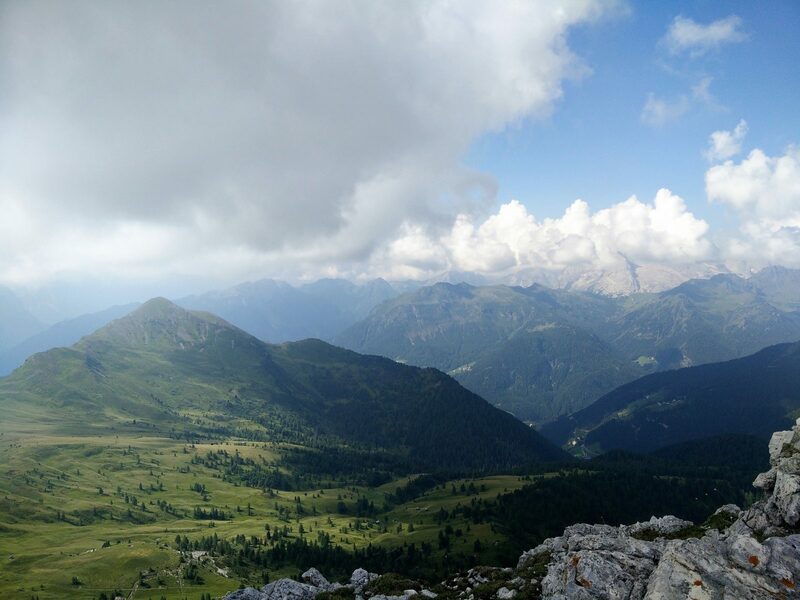 drive along the Italian A27 highway towards Belluno and then on road SS51 towards Pieve di Cadore. 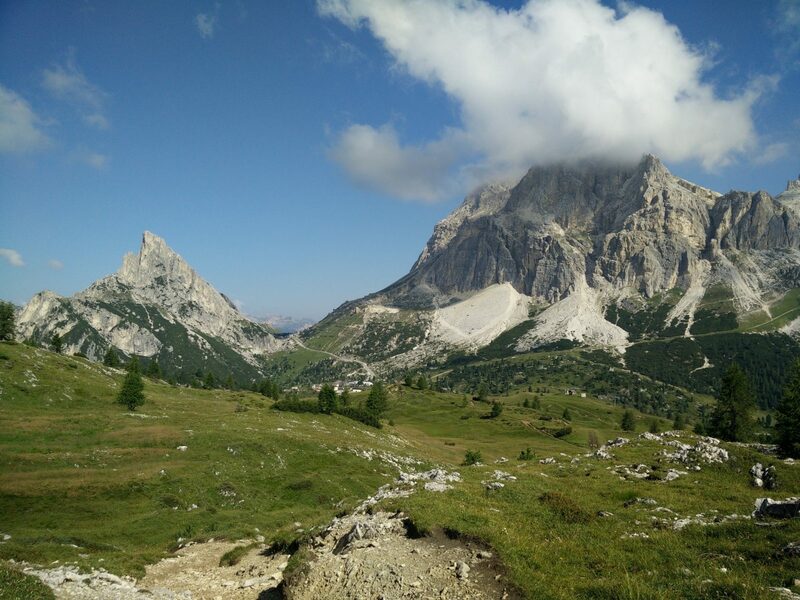 Just before the town of Pieve di Cadore turn left towards Cortina d’Ampezzo. 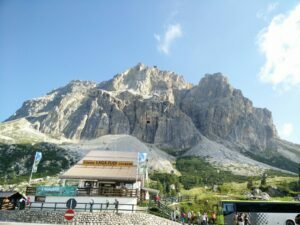 Drive through Cortina d’Ampezzo and keep left. The road will soon start ascending towards the Falzarego pass. Park next to the cable car station. 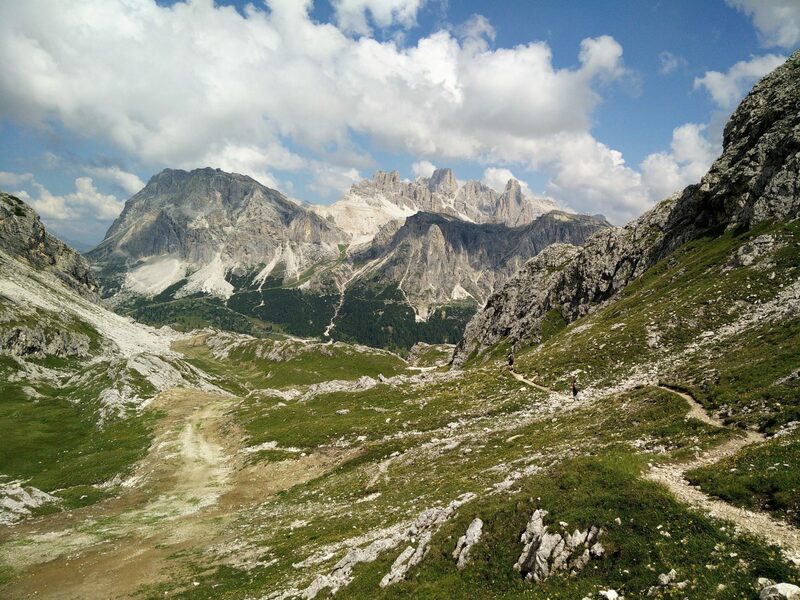 The Croda Negra trail is a circle tour, except the first and last 700 meters are the same. 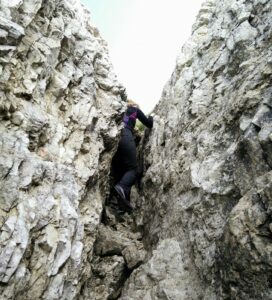 We did the trail counterclockwise whereby we first climbed the summit and later descended to the Lago di Limides for a longer lunch break, but it can of course be done the other way around. 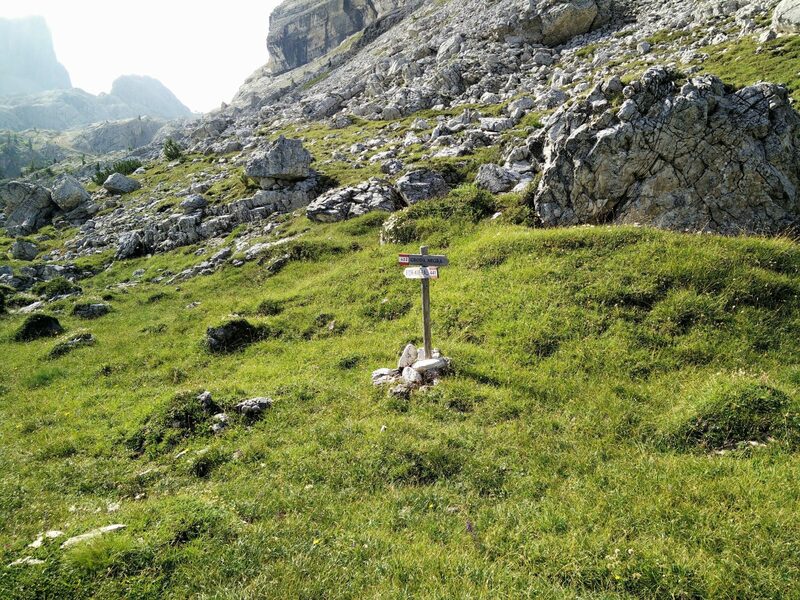 The trail is quite well-marked with wooden signs pointing toward Croda Negra, following route 422 to begin with, but there were more ambiguities later on. 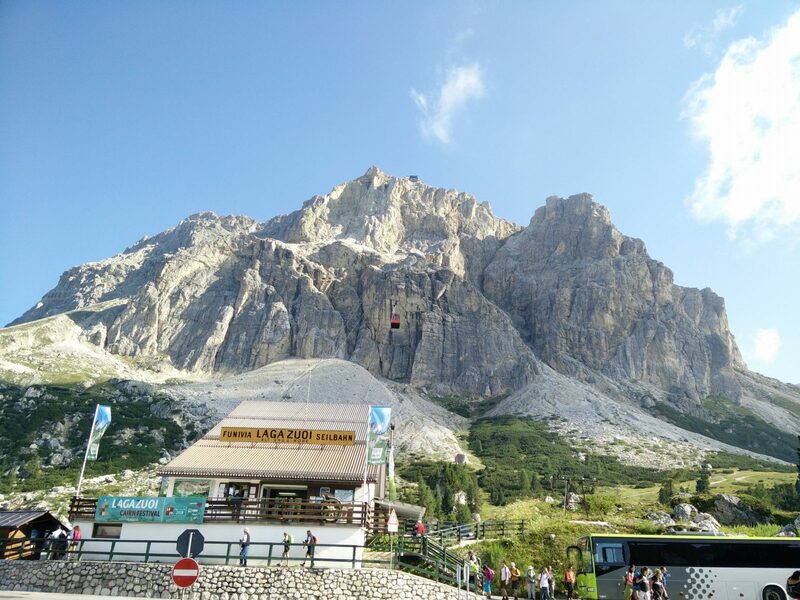 From the parking lot at Passo Falzarego, you head southeast towards the Croda Negra mountain which looks more like a gigantic black truffle than a black spire as the name indicates. Initially the landscape consists of grassy rolling hills, but becomes rockier as you ascend. 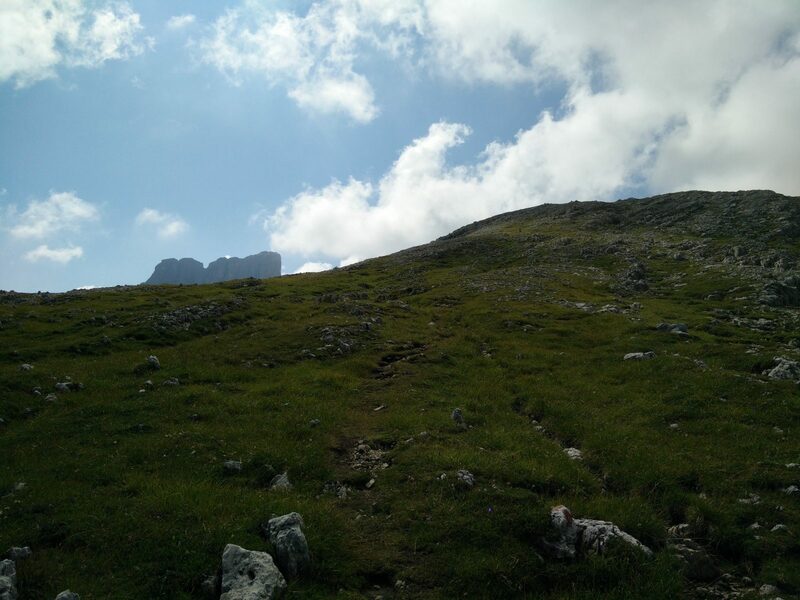 After hiking for approximately 1.4 kilometers, a signpost will direct you to take a quite sharp turn towards east in order for you to approach the top of Croda Negra. Soon after the path again starts turning towards south, and the trail starts to get steeper and rockier. 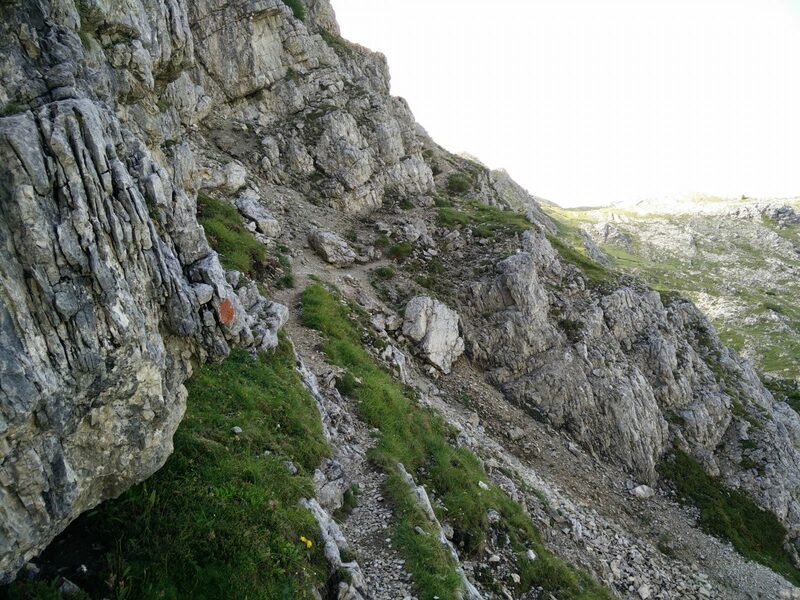 A few places you will cross exposed screes, so watch your balance carefully. Whenever you are free to look around, you can, however, relish in the exquisite landscape beneath you. 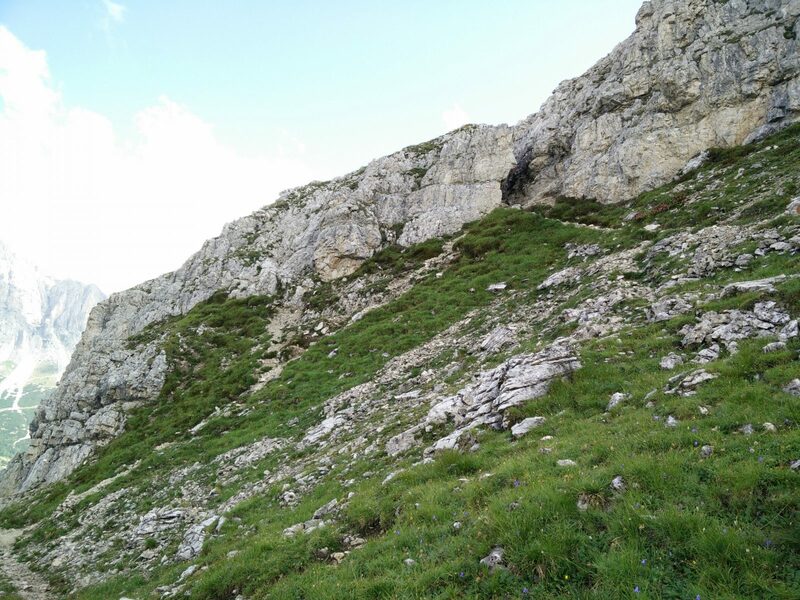 After hiking for 1.75 kilometers all in all, the path takes a brief, but sharp turn towards northeast – you will notice it from below as the trail leads you up through a narrow, but short cleft where you will have to scramble your way up. Here it is especially crucial that you are wearing appropriate hiking footwear and pants, as it is otherwise easy to loose one’s step and tear up pants made of less than robust materials. 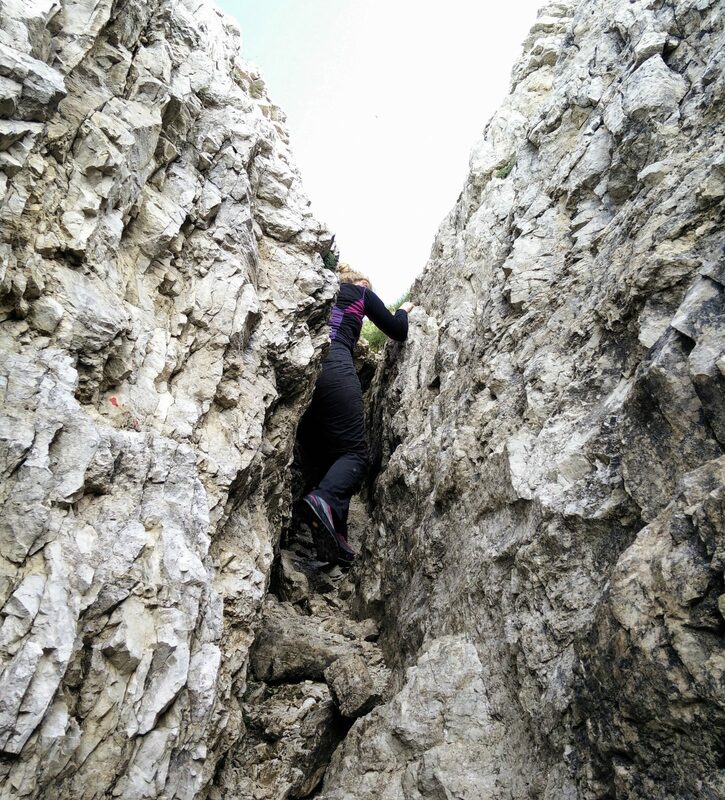 After making it up past the narrow cleft, you find yourself on a sloping ridge which you follow towards southeast for approximately 750 meters to the top. The top of Croda Negra offers an amazing view of the landscape beneath you as well as the other mountain tops around you, for example the notorious-looking Averau mountain slightly southeast of Croda Negra. Reaching the top by no means meant that the hike had reached its climax for us. From the top the trail takes a brief, but sharp turn towards northeast and then runs along a ridge towards southeast and the Averau mountain. After hiking a little more than 3 kilometers altogether, the trail curves and takes you towards north, descending through a sloping wide canyon. 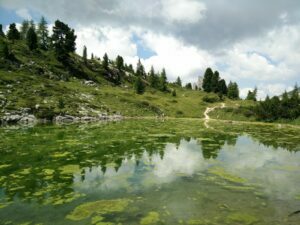 After a kilometer of hiking here, you should take a gentle turn towards northwest to make sure that you will reach the Lago di Limides rather than descending directly down to Passo Falzorego and missing the picturesque little lake. 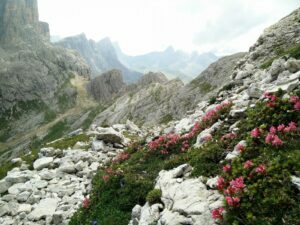 This route also lets you descend down through increasingly more lush terrain, often enveloped by cliffs into small tranquil valleys with colorful flowers. The path leading to the lake is (occasionally) marked as route 419, but there are many paths in this area. 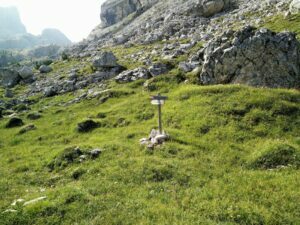 Therefore, if you want to be absolutely sure that you don’t miss the lake you might want to follow the free GPS-route inserted above on your hiking watch or GPS device, or insert the lake’s coordinates (Latitude: 46.511857 | Longitude: 12.022856) into your device. At the lake we made a longer stop to eat our packed lunch. Note that it is forbidden to bathe in Lago di Limides, but the algae in the water also made it less tempting – even on a warm day. Having concluded the lunch break at the lake, we followed the path down to Passo Falzorego through an increasingly grassy terrain; after around 500 meters of hiking from the lake, you will see that you are back on the initial stretch of the hike and thus you should have no trouble making your way to the parking lot which is also the end point of the trail. 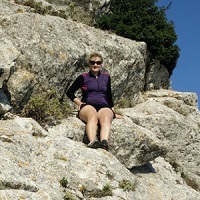 I wore the Asics Fit-Sana Contour tank, a long-sleeved Merino wool baselayer and robust long nylon hiking pants to protect me against abrasion from cliffs when scrambling was needed. I also carried an extra fleece jacket in case of colder temperatures, but it turned out to be unnecessary. On my feet I wore my Scarpa Marmolada hiking boots – which are named after the highest peak in the Dolomites – Marmolada, also known as the Queen of the Dolomites. 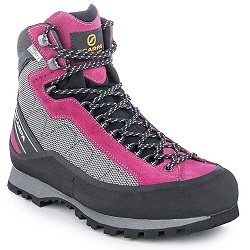 It is therefore no surprise that the boots performed extremely well in the terrain they were made for by Italian Scarpa. The Scarpa Marmolada boots have an amazing grip, even if you feel like you only have a foothold with the edge of your toes. I wore them with thin summer socks as the boots have plenty of cushioning on their own. The Croda Negra is a relatively easy and enjoyable trail for everybody, abound with beautiful nature and scenic views. At the same time it is less busy than the Laguzoi trail, so you can get to enjoy the landscape in a more serene manner. Be sure to bring proper hiking footwear and robust pants to execute the trail in a safe manner; there are steep exposed places and just a bit of rain could make it quite slippery. Indeed it seemed to be raining a little bit every afternoon while we were in the Dolomites – in spite of otherwise sunny weather, but usually after we had already concluded hiking for the day. ← How to use barometer on a Suunto watch to predict the weather?